The Board of Supervisors’ finance committee has directed the staff assess options to accelerate construction of a roundabout at the intersection of Rt. 9/Rt. 287 intersection north of Purcellville. 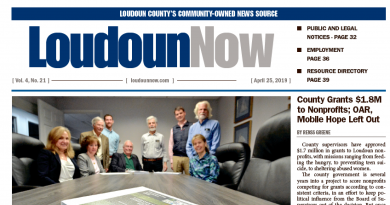 To assemble the $11.2 million needed to build the project in fiscal year 2020, supervisors last week suggested the county delay building athletic fields and public restrooms at Scott Jenkins Park near Hamilton, projected to cost $4.5 million; use up unused debt capacity in those years; and if necessary, delay other projects in the Blue Ridge and Catoctin districts. “In previous [Capital Improvement Programs], this project was funded to a point where it should be under construction right now, and for various reasons it fell behind,” said Supervisor Tony R. Buffington Jr. (R-Blue Ridge). The county will seek begin construction in fiscal year 2020, which begins in June 2019. Planning work for the roundabout began in 2014. At that time, VDOT figures reported that Rt. 9 carried an average of 16,000 vehicle trips per day at the intersection, while Rt. 287 carried 8,500. “We all know that the longer we wait on this, the more it’s going to cost,” Buffington said. The finance committee last week approved Buffington’s motion 4-0-1, Chairwoman Phyllis J. Randall (D-At Large) absent. Motions by Supervisor Koran T. Saines (D-Sterling) to accelerate a W&OD Trail overpass at Sterling Boulevard either by delaying work on Prentice Road, Dulles West Boulevard or Westwind Drive or by using up unallocated debt capacity—which would have competed with the Charles Town Pike roundabout—failed to find support among committee members. So let me get this straight. People can’t even handle a STOPLIGHT at this intersection, so the BOS, in their infinite wisdom, believe the best solution is to install a “roundabout?” Seriously? Unless the County builds an emergency room within 500 feet, I have no plans to ever get near that place! And I’m sure I’m not alone. It’s just that others who feel the same are still speechless……. VDOT has such an excellent track record at building roundabouts/traffic circles/traffic-calming areas, or whatever the correct term is these days. How many of you have had scary, close calls when driving around the two below Gilbert’s Corner, or the extremely dangerous one(s) at Clark’s Gap? I think I’ve had more bad experiences using the one on Purcellville. I really don’t think the BOS or VDOT put much thought in designing any of these, so it scares me to think of what they have in mind for the Route 9/Route 287 intersection. If there are more than 24,000 vehicle trips in 2017, how many thousands more will there be when this is finished? And ALL this traffic will be controlled by only FOUR yield signs, that nobody will be paying attention to in the first place, because they’ll be concentrating on not getting killed by other drivers. Heaven help us all. That’s it. I’m packing up and getting out of this crazy county after 45 years. 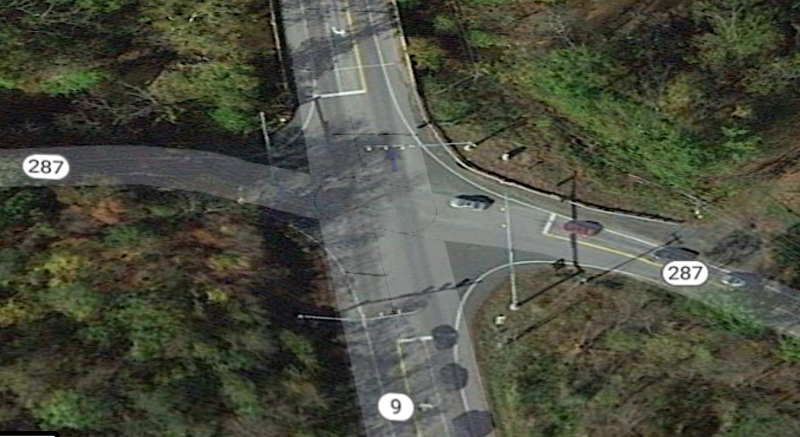 you sort of describe one of the reasons modern roundabouts are so much safer than other intersection controls – they force people driving to slow down and pay attention. The real scary thing is people who think stop signs or stop lights actually stop people.